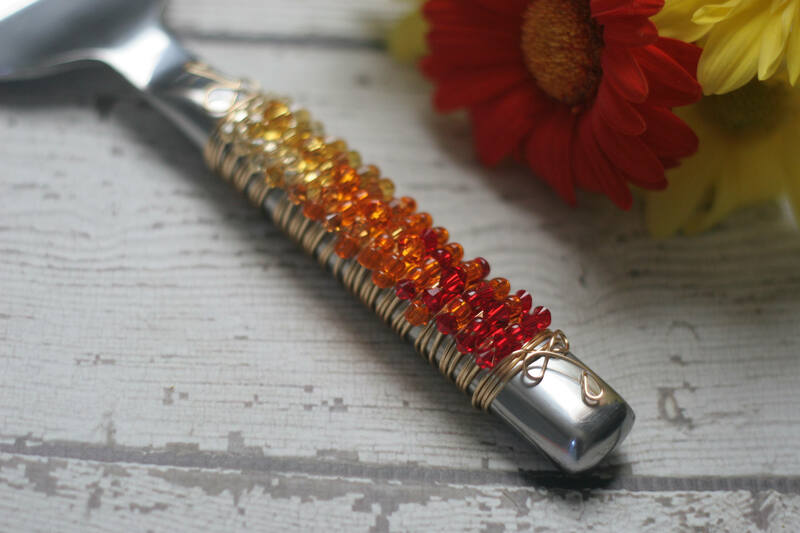 Inspired by Couture Style and Chic Designs, this beautiful COUTURE fire inspired ombre cake server is a bit of luxury for your table. Perfect gift for that host or hostess that adores a bit of luxury while they entertain. This is a MADE TO ORDER ITEM. Bead placement will vary slightly. I use a non-tarnishing gold wire and a variety of red, orange, yellow SWAROVSKI beads. Interested in a coordinating knife? Convo me!